Watches fascinate me. 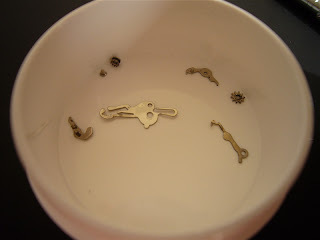 Actually it is the movement and how they work that holds my interest in watches. How do they put in all those functions in something so small. The gears, balances, pinions, etc. Basic functions like time (hour, minute and second), date, day and perpetual calendar, stopwatch, fly-back and well you get the picture. 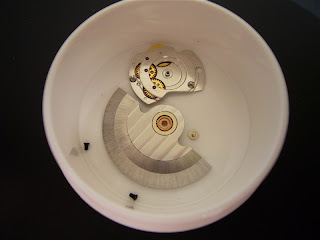 So today, I thought I post some pictures of some very basic movement and also one which I am taking apart (as part of my watch servicing and making course). The first one is the AS 1701/01. This movement is made by Adolph Schild SA, Grenchen, Switzerland. 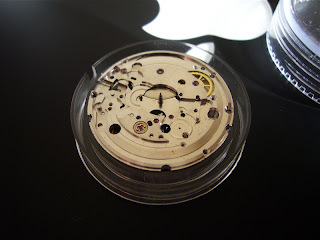 It has 25 jewels and it is an automatic movement from the 1960s. It shows the hour, minute, seconds and date. 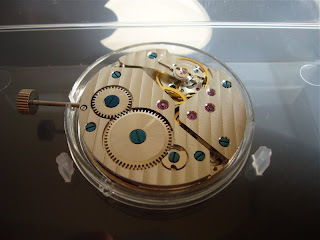 The next movement is the Unitas 6325 and is made by Fabrique d'Ebauches Unitas SA, Tramelan, Switzerland. It is small as compared to its popular brother the Unitas/ ETA 6498. This movement is also from the 1960s. It has the following functions: Hour, minute and second (at the 6 o'clock position). This is a hand wind movement and have 17 jewels. 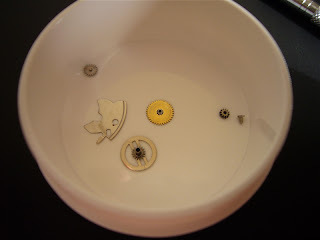 This is the Seagull 3600 Grade 1 movement. 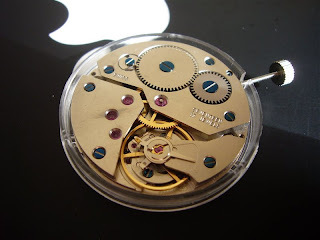 This is a Chinese made movement and is a copy of the Unitas 6497 movement (differs from the 6498 as the second hand is at 9 o'clock position). This is a current production movement. This is also a hand wind movement. I use this to practice disassembly and assembly of movement. I am not sure of the number of jewels on this movement. This is the Unitas 6497. This is a basic finish Unitas movement. As you can see from the picture, there is no decorations on the watch. I hope to give it a brushed look once I have completed my training. I will use this movement in a project watch. This is a hand wind movement. This too have 17 jewels. 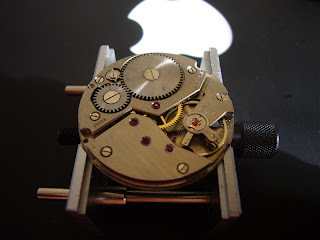 This next movement is the Unitas/ ETA 6498-1 soigne movement. 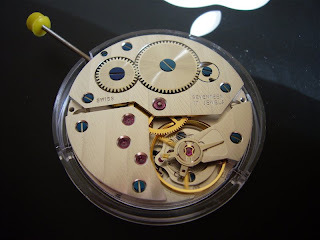 This movement is a high grade movement and has a very nice finish on the movement. It is a very pretty movement. This is a hand wind movement and yes... 17 jewels. Again, I will be using this in a project watch. This is the CH824 movement. 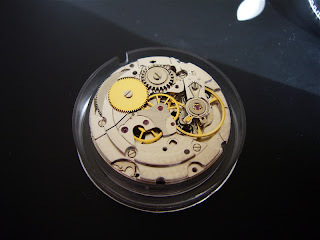 Again this is a Chinese made movement based on the ETA2824 movement. I am using this as the base movement for my training (suppose to use the ETA 2801, but found it too pretty to take apart or to screw it up). As you can see from the photos, it has been partially disassembled. 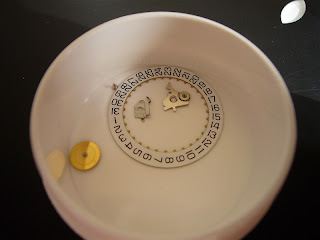 This is the dial side of the watch (bottom plate). 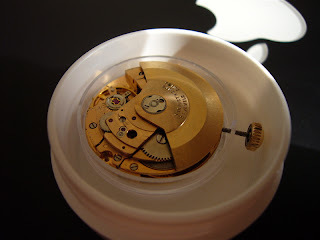 Now, this is a picture of the Top Plate (this is what we see if the watch has a display back). The winding rotor has been removed. Welcome to the the blog. There is the on-line course available at timezone (TZ) which cost USD50, which you can complete at your own speed. Try going to the forums like WUS (watchuseek). Watch magazines are your best friends as are the promotional brochures. Your customers as well. Most important is not to be afraid to ask. All the best on your new job.